The Czech Republic has joined Germany, Australia, New Zealand and a growing list of other nations which are turning to Canada as a safe and legal source for medical grade cannabis. Medical marijuana consumers in Prague rang in 2018 with a new Canadian import, Tilray Milled Cannabis, a high THC marijuana product grown on Vancouver Island. The Czech Republic is just the latest nation to sell Canadian weed, joining Germany, Australia, New Zealand and a growing list of other nations which are turning to Canada as a safe and legal source for medical grade cannabis. 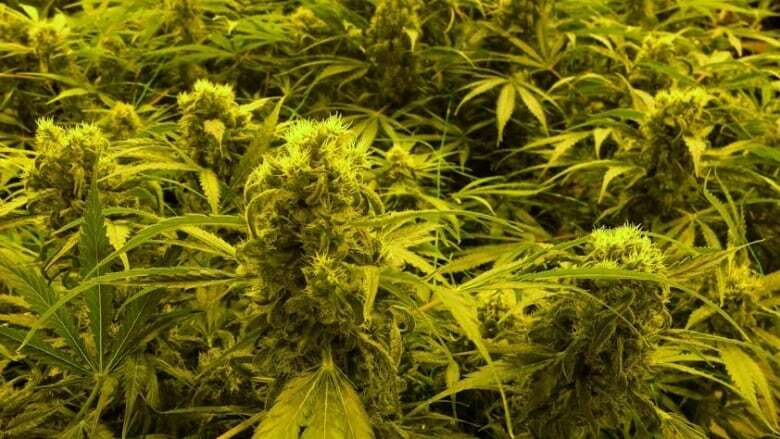 In recent months, more than a dozen countries have legalized medical marijuana. New laws are pending in at least a dozen more as national regulators and even the World Health Organization recognize legitimate medical uses for a drug which had long been banned under international treaties. The moves have sparked an unprecedented demand for legally grown, high quality marijuana, as well as the oil which is extracted from it. Seven Canadian producers have been granted licences to export the crop. By the end of March they will have sent 528 kilograms of dried cannabis flower and 911 litres of oil overseas. That may well be just an initial trickle, as the floodgates open on an international medical cannabis market. "I've never experienced anything like this," says Ranjeev Dhillon, a corporate lawyer and partner at the law firm Bennett Jones. Most of his practice now centres on the cannabis export business. "I think it means that we'll be a global player," he says, stressing this is a positive development for the Canadian economy. "This could be our opportunity to be viewed the same as we are in mining or hockey. We'll be world class and be world leaders and I think that will stay to be the case for a very, very long time." For decades an international ban on the production and use of cannabis kept to a minimum any legitimate research into potential medical uses. Prohibition ensured that marijuana cultivation stayed in the hands of illegal growers, and distribution was limited to the criminal underground. But many users saw value in cannabis as treatment for a variety of conditions, ranging from controlling epileptic seizures to pain relief to stress control. Israeli scientist Raphael Mechoulam began limited research on the drug in the early 1960s, which led to the discovery of the human endocannabinoid system. By the mid-1990s, scientists determined that cannabinoid receptors play a vital role in the function of the human body. For the first time synthetic cannabinoid derivatives were approved for medical use, primarily for the treatment of nausea and wasting syndrome. At the same time anecdotal evidence was building to suggest cannabis could have other, more widespread medical uses. Patients who claimed benefits from cannabis went to court seeking the right to use marijuana as medicine without facing the risk of criminal prosecution. In 2000 the Ontario Court of Appeal ruled that Terry Parker, a man with severe epilepsy, should have the right to use marijuana to moderate his severe seizures. One year later, Canada's Medical Marijuana Access Program was introduced, allowing patients who had obtained a doctor's consent to grow their own marijuana under a special permit. By 2013 more than 28,000 Canadians had been granted personal use production licences, leading to a flood of unregulated home-grow operations, and along with it a risk of fires, mould contamination in homes, and legally grown weed being diverted to the black market. In an effort to crack down on the home grow-ops, the Harper Conservative government introduced new legislation that established legal grow operations which could provide medical marijuana through a mail order service. The Marijuana for Medical Purposes regulations, enacted in 2014, set Canada apart as the first nation to establish a regulated commercial cannabis cultivation industry. As Canada moves towards legal recreational weed in July, the number of licensed growers has swelled to 84, production is skyrocketing, and research into new growing techniques and improved strains is increasing exponentially. This has placed Canada in a unique role as other nations scramble to find safe and legal supplies of medical cannabis. "When regulators in other countries are looking for a product, Canada is really the source of the safest product. 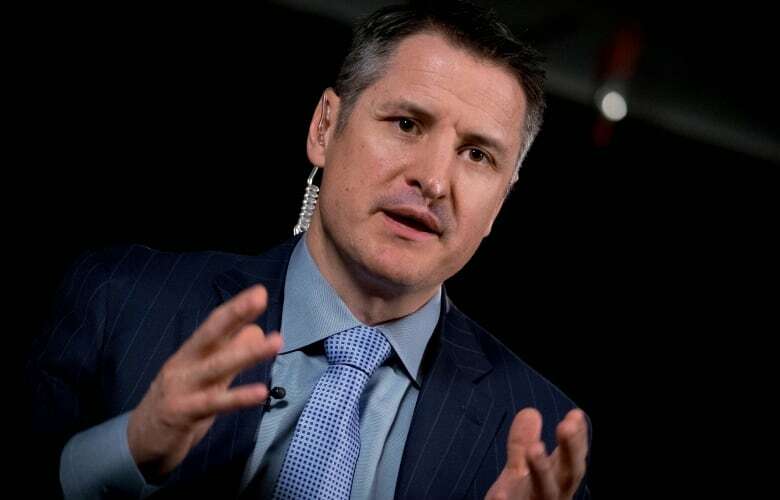 It's the safest bet," explains Brendan Kennedy, the CEO of Nanaimo-based Tilray, a pioneer in cannabis exports. Tilray is among several Canadian producers already exporting to Germany, which established a widespread marijuana access program last spring. Not only is cannabis stocked in German pharmacies, the government pays for the drug under its government health insurance program. Until it can establish a domestic industry, Germany is importing from Canada. Along with Tilray, Canadian producers Aurora, Cronos and Canopy Growth are tapping the German market. Aurora has even gone a step further, purchasing pharmaceutical supplier Pedanios, with an eye to expanding its distribution in the European market. Following Germany, several other European countries, including Greece, Italy, Poland and the Czech Republic, passed new medical cannabis laws. Several others are following. A report published in November places the value of the European cannabis market at $84 billion Cdn a year. That's led Tilray to begin construction of a $30-million production facility in Portugal to help supply the growing market. "Part of the reason we decided to invest in a cultivation facility in Portugal was that we also saw a massive increase in demand for medical cannabis product in the EU," explains Kennedy, who sees a bright future well beyond Canadian exports. 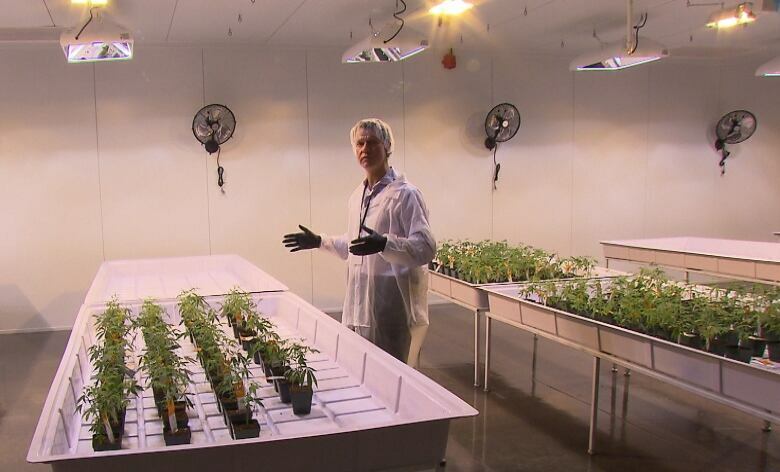 Canadian expertise in growing and greenhouse technology, extraction methods, strains and genetics, along with plain old business know-how, are also in demand. In addition to exports, Canada's cannabis companies are also teaming up with local partners to build facilities in Germany, Denmark and Israel. Australia is seen as another prize for Canadian producers. When it announced last February that it would allow importation, Canadian producers Aurora, CannTrust, Canopy, MedReleaf and Tilray swooped in, not only with bags of weed and vials of oil, but with partnerships to build facilities there. Peru and Mexico have also passed legislation to legalize medical cannabis, and Canadian companies are promising further announcements soon. Overall, they say, the world market could be worth around $200 billion. The rapid legalization of medical cannabis has spurred new research into potential treatments using the drug. In Israel, where the medical research began, there are about 120 trials underway using components of the marijuana plant. As cures and treatments are discovered and proven, the role of cannabis is sure to expand, creating even greater potential beyond flowers and oil. CEO of Markham-based MedReleaf Neil Closner believes at least two or three of Canada's producers will become global giants. "I think overall who wins is Canada. I think we've got a leg up on the rest of the world, which is very exciting at a national level for us. 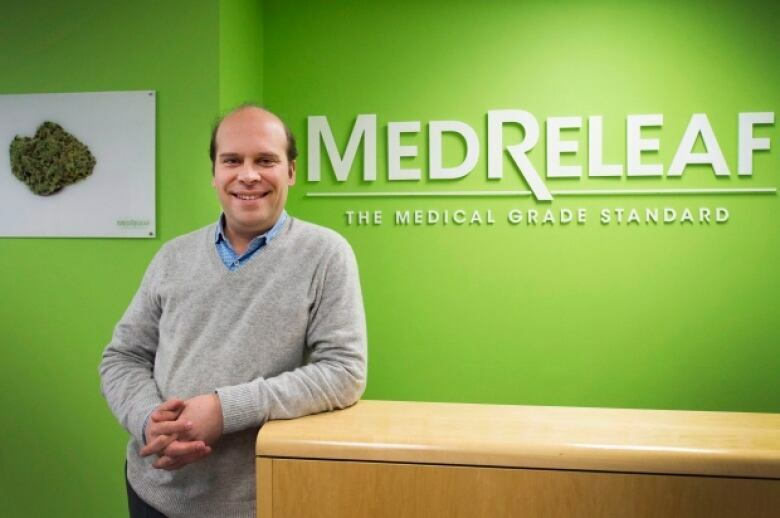 I'd like to think that MedReleaf is strongly positioned to be one of the few handfuls of global winners." And while California is the latest U.S. state to legalize marijuana, American producers are shut out of the global market because of the federal prohibition on the drug. That leaves Canada room to pursue the international market and all the potential riches that go with it. Terry Reith is CBC's network news producer based in Edmonton. He's also served as the network's medical reporter, and senior writer for the consumer section of cbc.ca. 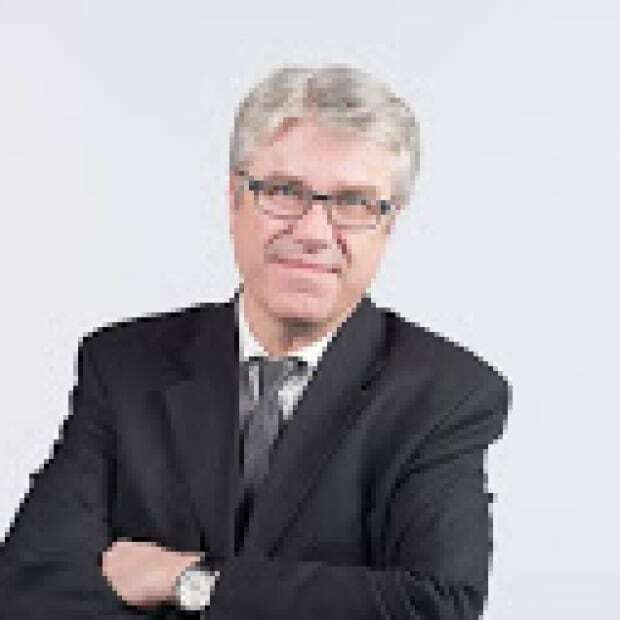 Reith joined the CBC in 1992 as a local radio and television reporter.